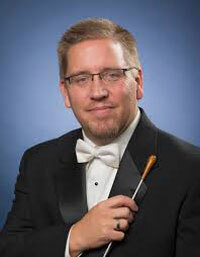 Dordt College in Sioux Center says the school’s Board of Trustees has fired their band director, who has been on leave for nearly two weeks following accusations of inappropriate contact with students. Dordt Vice President of Enrollment & Marketing, Brandon Huisman, made the announcement. “The board of trustees deliberated late last week and voted unanimously to affirm the president’s recommendation to discharge Doctor Bradley Miedema from his employment at Dordt College — effective October 22 of 2018 — for the causes of moral dereliction and professional irresponsibility,” Huisman says. Huisman says the school takes the events seriously and says they and are committed to the health of their students and faculty by providing care and counseling for everyone involved. He says Dordt remains committed to finding healing, while remaining centered on their mission to equip students, alumni, and the broader community to work effectively towards Christ-centered renewal in all aspects of contemporary life. The college asks if anyone has information that may be relevant to the investigation, to contact either Howard Wilson, Chief Administrative Officer or Robert Taylor, Dean of Students.